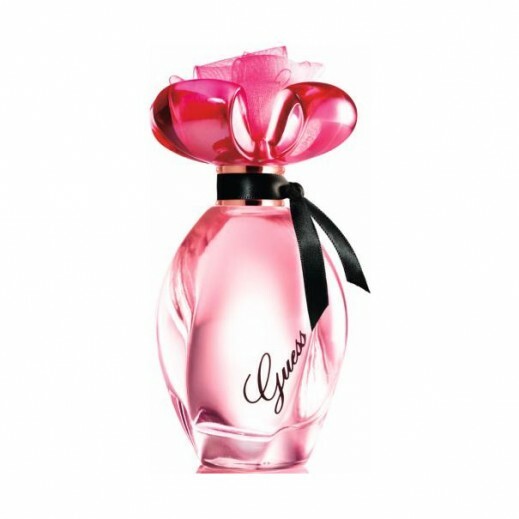 ♦ The Guess Girl by Guess for Women is an alluring Eau de Toilette that is designed for young women and was composed in celebration of Guess' 30th anniversary. This fragrance was released in February of the year 2013 with Amber Heard as the face of the fragrance. The composition is sensual and can be categorized as floral fruity. It was signed by perfumer Laurent Le Guernec of International Flavors and Fragrances. This scent embodies seduction and leaves behind a powerful impression. Available in a 100ml flacon, this scent accentuates your alluring attractiveness. ♦ Top notes: The fragrance is dominated by fruity notes of wild berries and a sparkling accord of champagne. They make a distinct blend of ingredients that contribute fizz and effervescence with a tangy twinkle. ♦ Middle notes: The heart is an assortment of floral notes of three distinct components: peony, violet, and jasmine. While peony is known for lending a fresh floral feminine tone wile violet brings in a metallic smelling, green, aqueous subtlety to the scent. These two notes rest in the sweet narcotic scent of jasmine that also contributes pleasant and cheerful facets to the composition. ♦ Base notes: The base of the fragrance is a mixture of woody, warm, and pleasant notes. It consists of milky rich Australian sandalwood, sensual musk, and a cozy, pleasing note of vanilla.